getting ready for a new year! People have been asking and I have good news! My 2018 poster calendars are now READY for you! Some of you will keep one for yourself, others will get one to gift a special someone who makes your days brighter all year round, and the smart ones will do both. 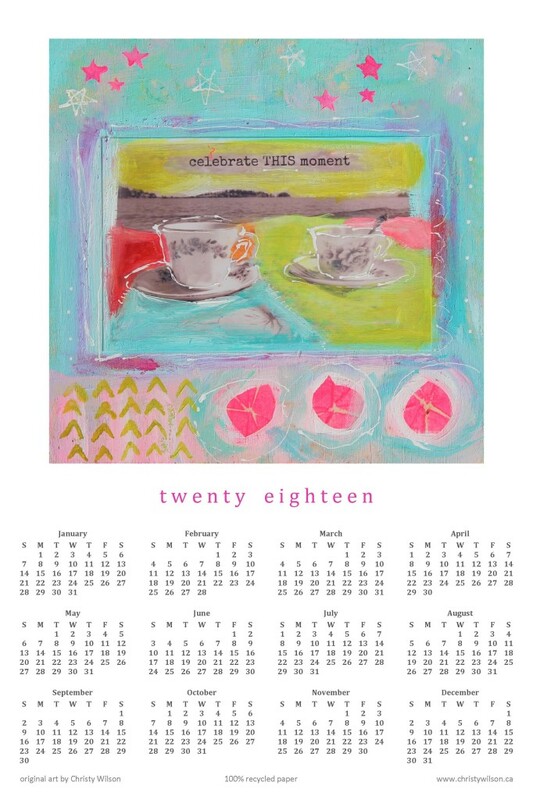 I hope everyone who hangs one of my year-at-a-glance calendars will feel joy each time they look to my bright designs. Three designs again, one with words to inspire, though the others tell a story too. All are ocean related. The tea cups were photographed at a picnic with my daughter at a local beach (can you guess which shores we lazed upon?). The octopus is entitled “Look at Me” and how can you not gaze upon her bright colours? The sea star was painted with hope and in honour of the purple sea stars that are struggling with Sea Star Wasting Syndrome (SSWS) along our coast. How happy was I to notice what seemed like an increase in their numbers this summer on Gabriola! I was also lucky to go out to one of the survey sites in Tofino with Strawberry Isle Marine Research, where they have been getting local volunteers to help them monitor sea stars and SSWS. Here’s hoping the days of 2018 will continue to be good ones for all of you AND all our ocean neighbours! May the octopus remind you that many hands (arms) make light work (ask for help when you need it!) and also remind you to stay flexible in the year ahead. May this sea star enjoying a night walk on the beach remind you to slow down in the coming year (and go to the beach more!). May this tea party at the beach remind you to take time to celebrate each and every moment (use the “good stuff” just for any old day!). 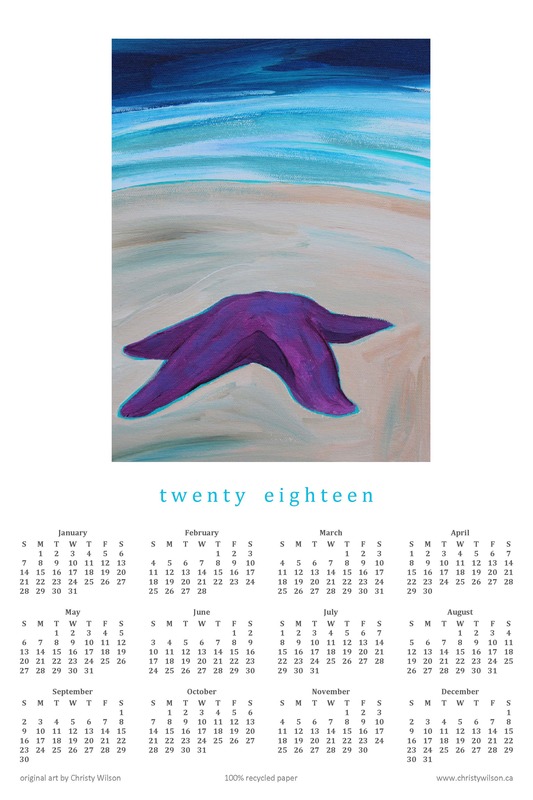 As always, these 12 x 18 inch calendars are printed on 100% recycled paper, so they are big and bright and good for the earth! Locals can order their calendars directly from me to avoid shipping. Out of town orders, please purchase yours in my etsy shop! Special discounts for bulk orders, so contact me if you want to get a bunch for everyone on your holiday gifting list! Don’t they look sweet rolled up with a ribbon? 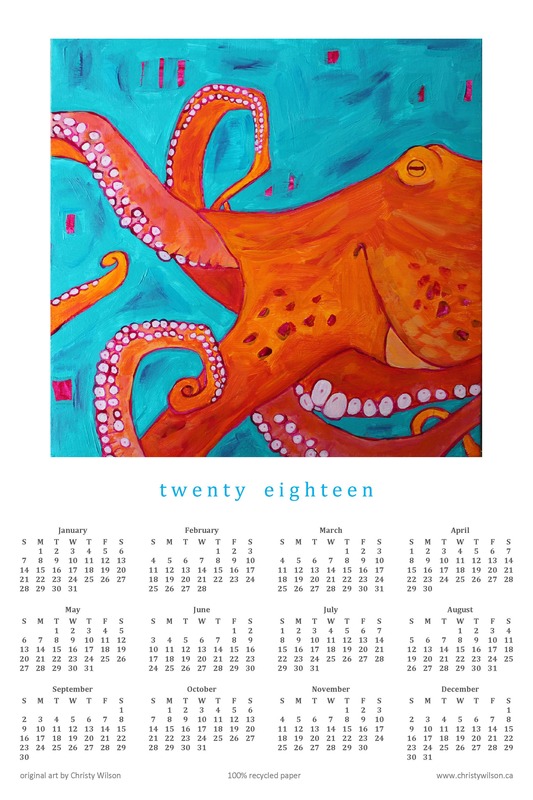 This entry was posted in Uncategorized and tagged 2018, 2018 calendar, beach, calendar, christmas gift, holiday gift, octopus, sea star, sea star wasting syndrome, strawberry isle marine research, tea cups, year at a glance calendar by admin. Bookmark the permalink. Hello Christy from snowy ont. 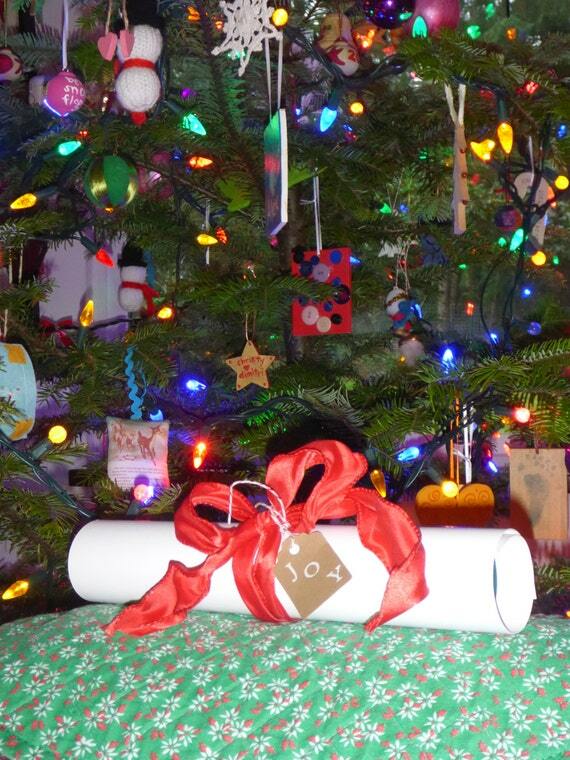 would love to have the starfish and would happily send you a card with $20 in it. If you would be amenable I will will be happy to email my home address. Hope all you and yours are well. We are happy here. Lots and lots of dog walking and local activities which is what we had hoped. hello to you way out east! love that my sea star will follow you there! I will email you so we can make this happen Chris!